Can’t bear to be parted from your treasured hippo friends? 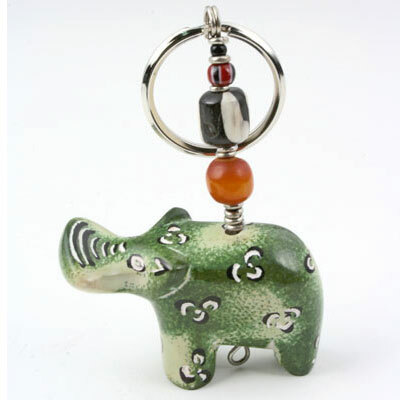 Carry one with you all the time with our adorable soapstone hippopotamus key chain with one glass bead and one bone bead. Handmade in Kenya, this little guy will cheer your day from door to door.